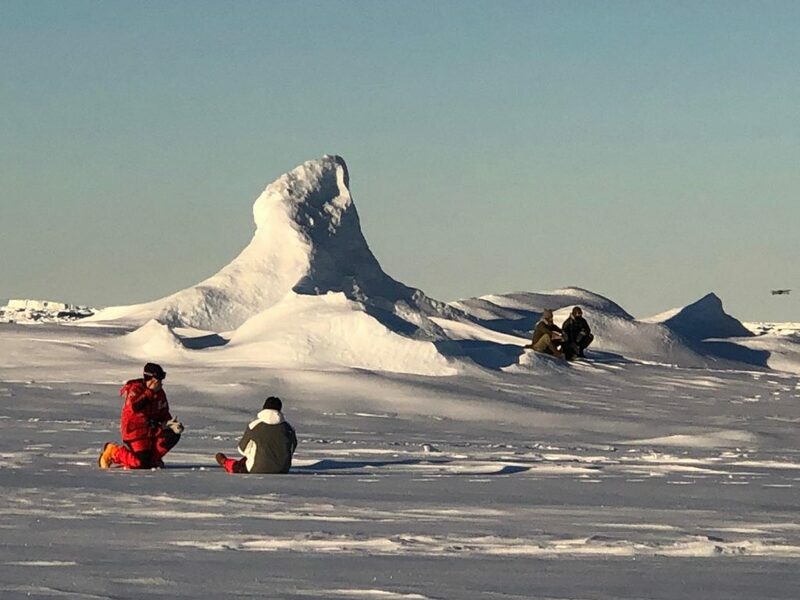 Below he shares an update of how the expedition is going so far. 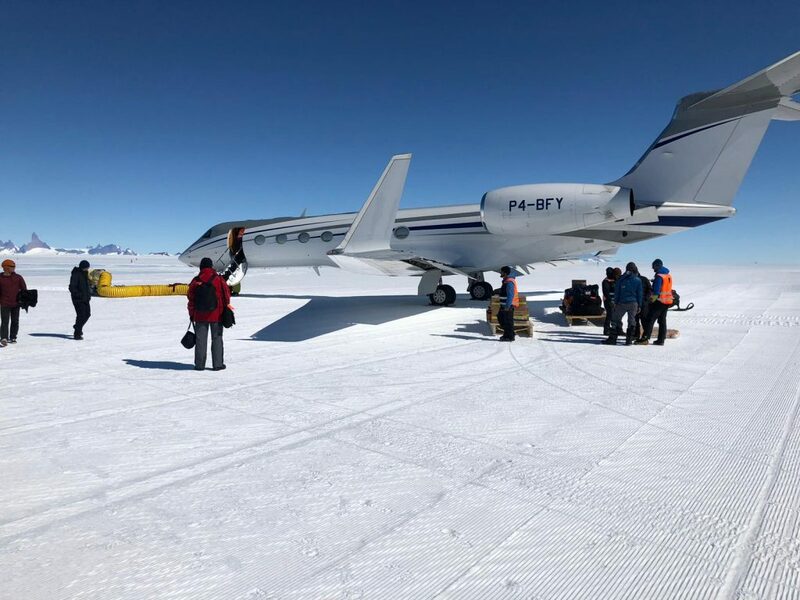 The Weddell Sea Expedition started with a six-hour flight between Cape Town and an ice runway at Wolfs Fang in East Antarctica. White Desert [aviation] operate flights to-and-from the temporary ice runway using a chartered Learjet that can carry up to 14 passengers. The ice runway is prepared each summer and is in an extensive area of blue ice at an altitude of 1,500m on the East Antarctic Ice Sheet. 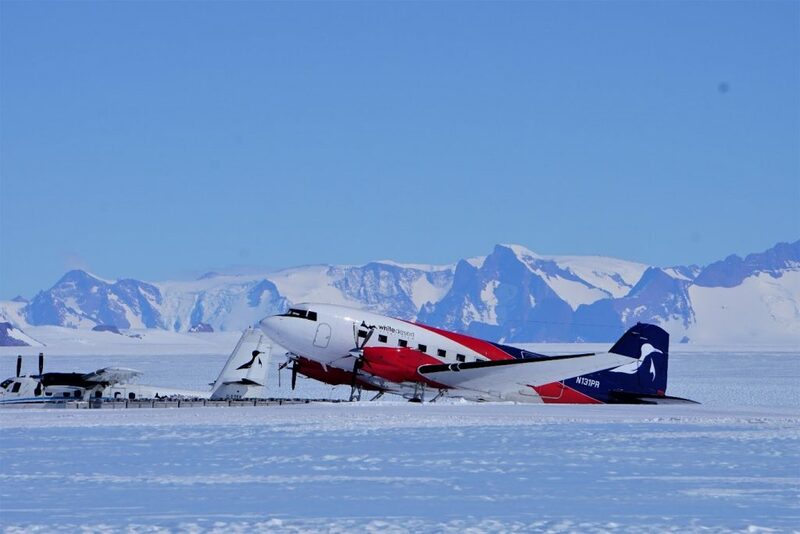 Chartered plane on ice runway at Wolfs Fan, East Antarctica Ice Sheet. Basler and Twin Otter aircrafts were then used to ferry expedition participants between Wolfs Fang and the research vessel SA Aghulas II at Penguin Bukta, which is located at the edge of the Fimbul Ice Shelf. Basler and Twin Otter aircraft were then used to ferry expedition participants . This also involved landing on an ice runway but this time on the surface of the floating ice shelf rather than the ice sheet. A helicopter was then used for our transfer to the ship. The journey from East Antarctica to the Larsen-C Ice Shelf, Antarctic Peninsula, took a full eight days of sailing at 14 to 18 knots. 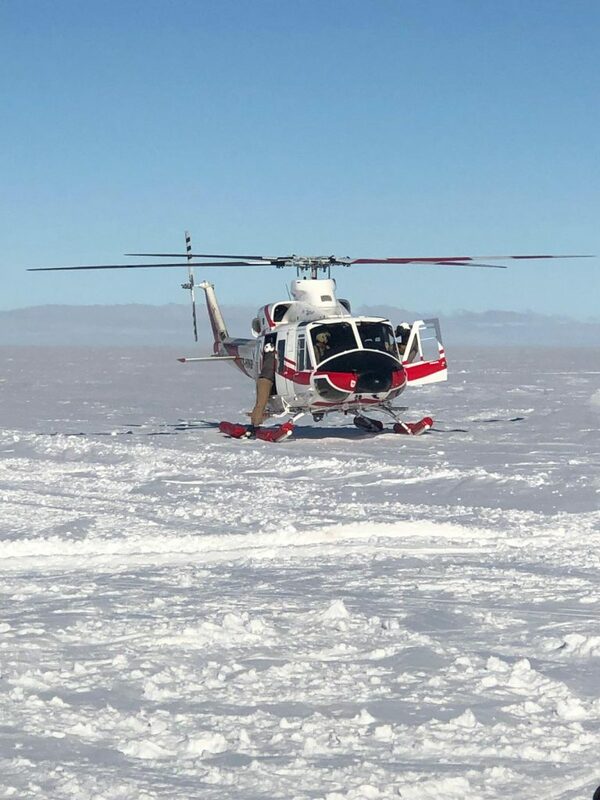 Helicopter flight from Penguin Bukta to the SA Aghulas II research ship, sititng along the Fimbul Ice Shelf. Some days involved transit through the Antarctic pack ice in the Weddell Sea where ice coverage ranged from 6/10ths to 8/10ths and ship speed had to drop to 5 knots to ensure safe ice-floe breaking or avoidance. SA Aghulas II sitting alongside shorefast sea ice in front of the Fimbul Ice Shelf. 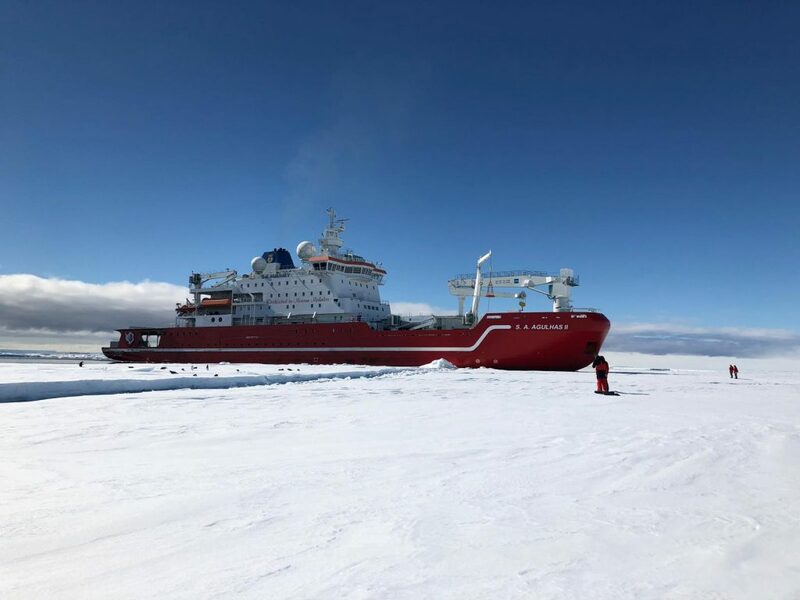 The expedition science and deployment of the ROV (Remotely Operated Vehicles) and AUV (Autonomous Underwater Vehicles) is being helped by the unusually open waters and low sea ice coverage. 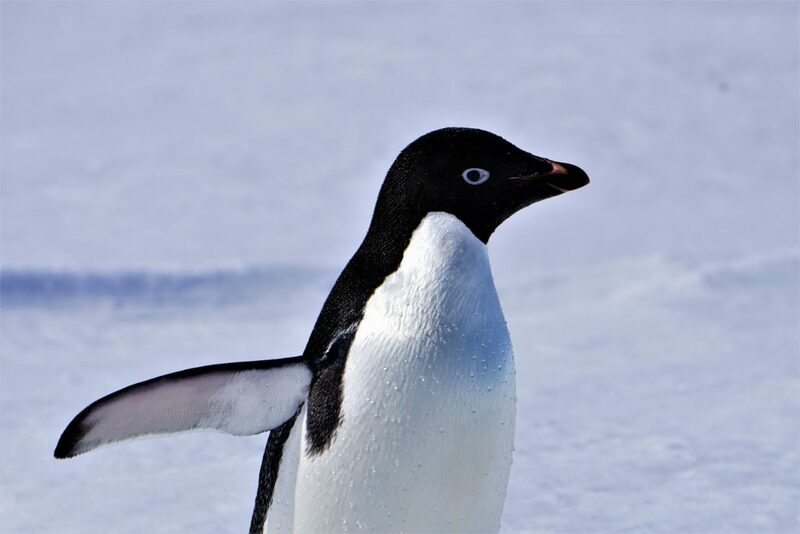 The last time that this region has been free of the Antarctic pack ice was in 2002. Normally the shelf east of the Antarctic Peninsula is influenced by highly pressurised sea ice characterised by 10/10ths coverage that would prevent access even to ships with the highest ice breaking capabilities operating in the Arctic Ocean. 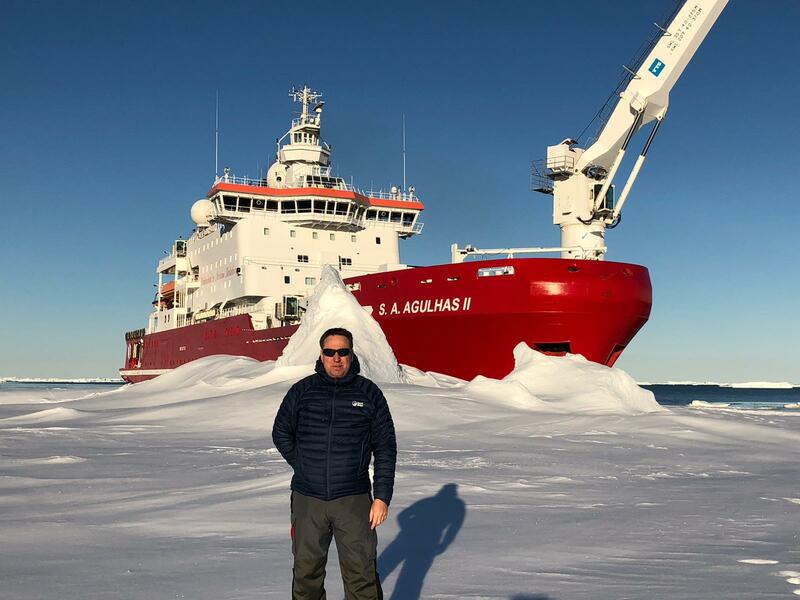 The expedition science started with several days of testing of the ROV and AUV to see how they performed in calm, very cold and ice-infested Antarctic waters. Tabular icebergs of the Weddell Sea. In amongst the test dives, we have also undertaken coring of sea-floor sediments in the deep cross-shelf bathymetric trough that runs from below the Larsen-C Ice Shelf to the continental shelf edge. This has involved both gravity coring to obtain long sediment cores that provide sediment records going back a long time, and multi-coring to provide samples of undisturbed sediments at and just below the sea-floor. We have been able to core at 10 sites so far with plans for an additional 16 core sites, specifically along the contemporary ice shelf edge. Sediment core recovered from the seafloor near the Larsen-C Ice Shelf. 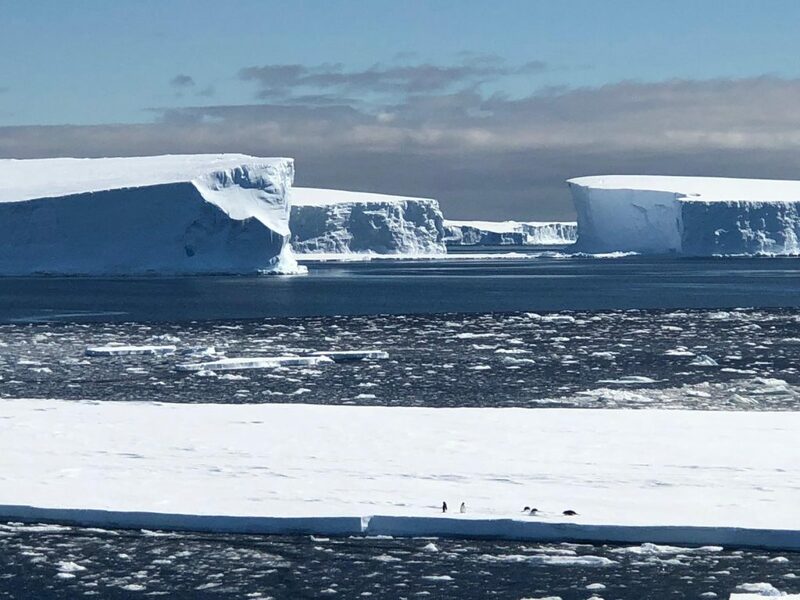 The cores will be used to determine how the Larsen-C Ice Shelf has behaved since the last glaciation (ended 18,000 years ago), particularly to reconstruct whether the ice shelf underwent change during known short periods of naturally-driven warming of the climate between 5,000 and 12,000 years ago. 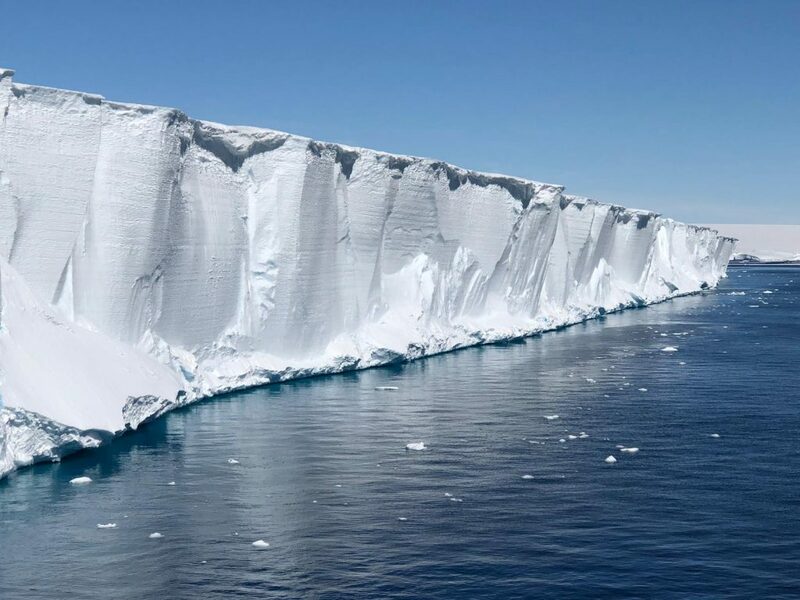 Some of the sediment core sites were planned for an area of the shelf that is now covered by the enormous A68 iceberg (160km long and 60km wide, which is equivalent to 4x the area of Greater London) that calved from the Larsen-C Ice Shelf over a year ago. 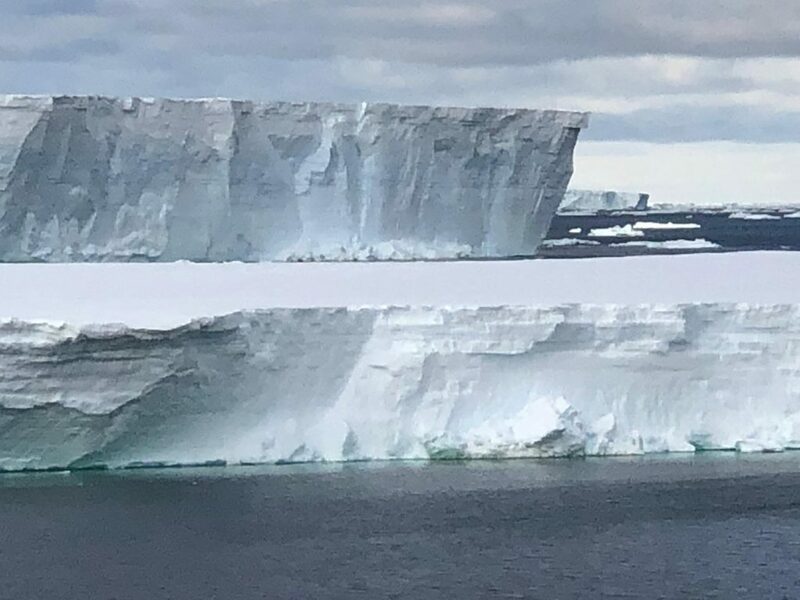 Whilst this iceberg is probably preventing the northwards drift of the Weddell Sea pack ice by the Weddell Gyre and resulting in unusually open waters, it also poses a major hazard to the ship. 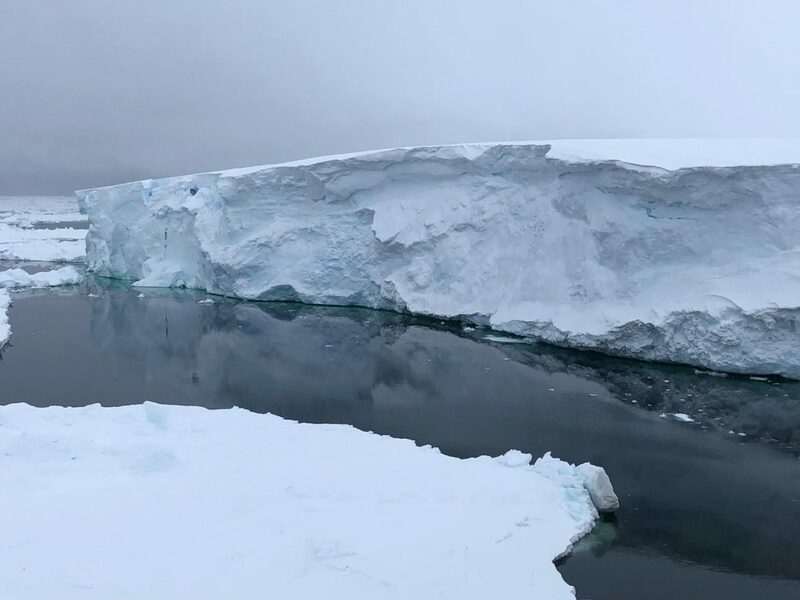 The iceberg has been recorded to travel approximately 500m in less than one hour as a result of the direction of the wind and tidal currents. 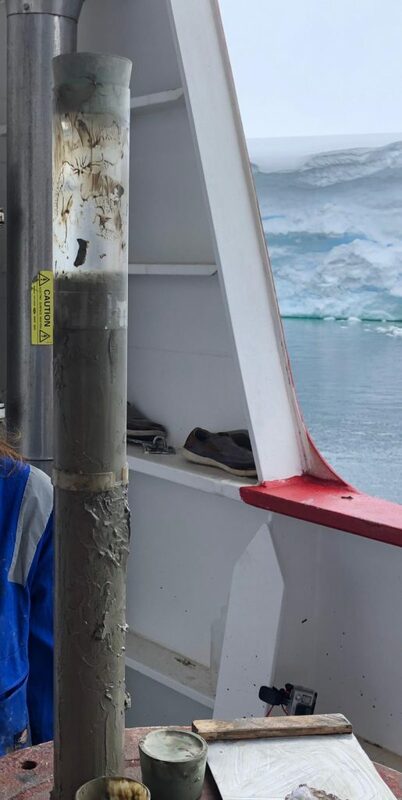 We continuously monitor the drift speed and direction of icebergs whilst we are at a science station, and sediment coring, oceanographic measurements or ROV dives are not permitted it is deemed safe to deploy science equipment. The final aspect to report is that we have also undertaken oceanographic measurements at each sediment core site, completed several ROV sea-floor transects for the marine biologists, and measured snow and ice thickness and density of sea-ice floes that in-turn will be used to calibrate AUV and satellite-derived data on the surface and underside of the Weddell Sea pack ice. Undertaking snow thickness and density measurements on a sea ice floe at midnight in the Weddell Sea. We’ve also been able to get close with a few of these guys. The intention is complete the science programme around the 24th to 26th January before moving to the Endurance wreck site to undertake AUV and ROV surveys. More information on the expedition and Dr Evan’s work can be found here.